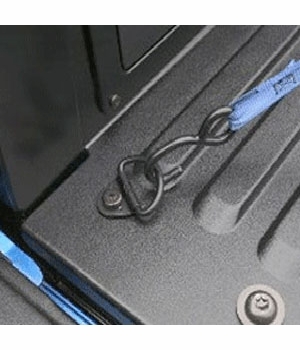 Add more flexibility to your truck bed with a set of these D-Ring Cargo Tie Downs from Toyota. These black steel Truck D-Ring Tie Downs mount in the existing pre-drilled mounting holes near the rear of the bed on your Tacoma. 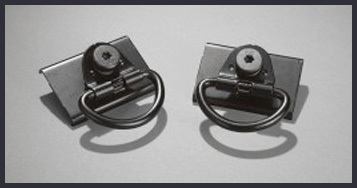 These Heavy Duty D-Ring Cargo Tie Downs provide added load securing capabilities and are available here as a set of two black steel tie downs. Each D-Ring measures approximately 1-1/2" x 2-1/2" And mount securely to your bed using the included mounting bracket, hardware and instructions. 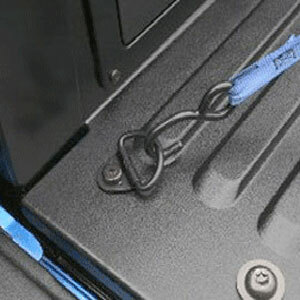 Secure your cargo today with these D-RIng Tie Downs from Toyota. Recieved it in a timely fashion, would and do recomend this company for future needs.